UNDOUBTEDLY ONE OF THE LARGEST PROPERTIES WE HAVE SEEN IN THE HIGH HEATON AREA, THIS 4 BEDROOM SEMI DETACHED FAMILY HOME SITUATED ON THE HIGHLY DESIRABLE EASTLANDS. The property is conveniently positioned for access to a vast array of amenities including The Freeman Hospital, the outstanding (Ofsted) Cragside School and Paddy Freeman's Park. The house has been sympathetically and tastefully extended and should be ideally suited to the larger family. Briefly comprising: entrance porch, entrance hall, lounge, dining kitchen, utility room, ground floor shower room/wc and a good size conservatory. 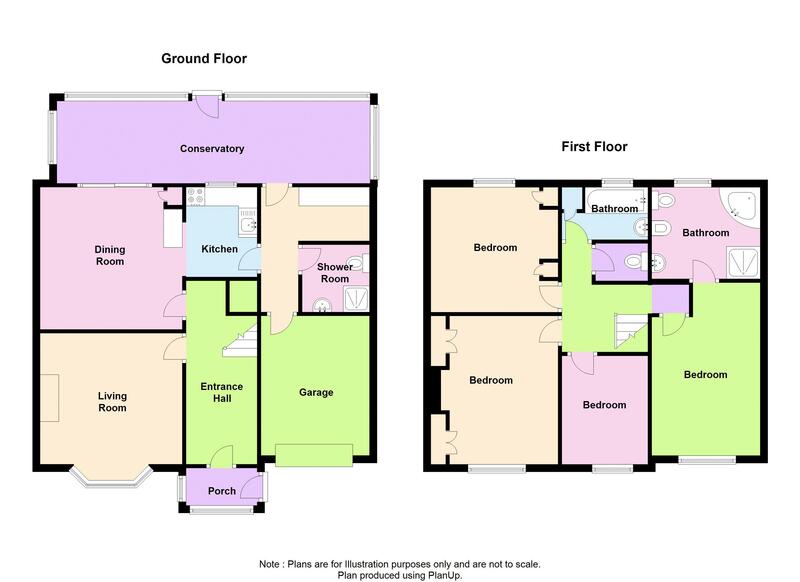 To the 1st floor there are 4 bedrooms, master with generous en suite, bathroom and a separate wc. Externally there is a driveway and a paved garden to the front, a mature and well established garden to the rear and an integral garage. Double glazed bay window to the front, fitted gas fire, alcoves, telephone point, television point, coving to the ceiling, carpet and radiator. Fitted with a range of wall and base units, work surfaces, single drainer sink unit, coving to the ceiling, part tiled walls, radiator, double glazed window to the rear and double glazed patio doors to the rear garden. Double glazed windows to the rear and sides, double radiator and a double glazed door to the rear garden. Window to the rear, built in wardrobe, built in vanity unit, radiator and laminate floor. Double glazed window to the front, picture rail, radiator and laminate floor. Double glazed window to the front, telephone point, television point, radiator and carpet. 5 piece suite comprising a jacuzzi bath, step in shower cubicle with electric shower, wash hand basin, low level wc and bidet. Part tiled walls, frosted window to the rear, extractor fan and a double radiator. Laid mainly to lawn with flower, tree and shrub borders, fruit tree, garden shed and fenced boundaries.